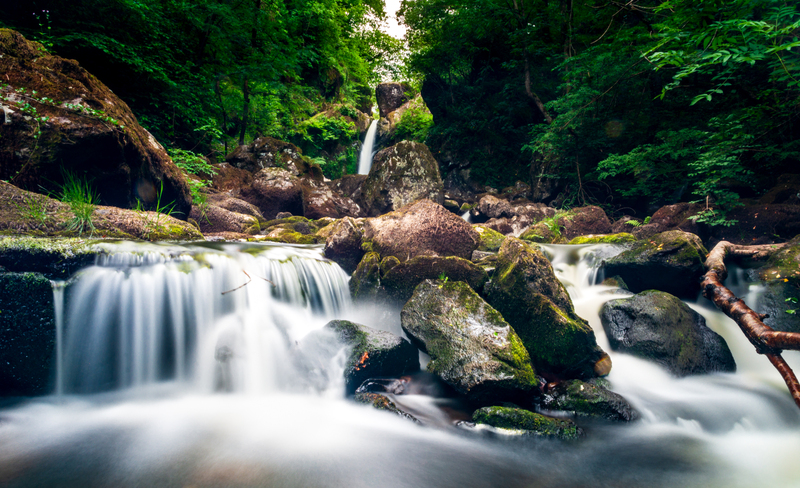 The Devils Glen waterfall this afternoon – a truly breathtaking place in the Wicklow Mountains I didn’t know about until discovering it on Saturday in a magazine pullout of the Irish Times weekend edition. So off I went today right away. An hours drive from Naas, Devils Glen is easily to reach, parking onsite and two excellent looped walks waiting to be explored. Easy enough terrain, nothing extreme. Unfortunately it was an overcast day which means the light wasn’t quite as I would have liked it. Surely I’ll be back in autumn when it must be such a colourful place. I got a 25 second long-exposure at the foot of the waterfall – a beautiful scene that may have been enhanced by some sun rays shining through the trees. It’s an image I quite like nonetheless.